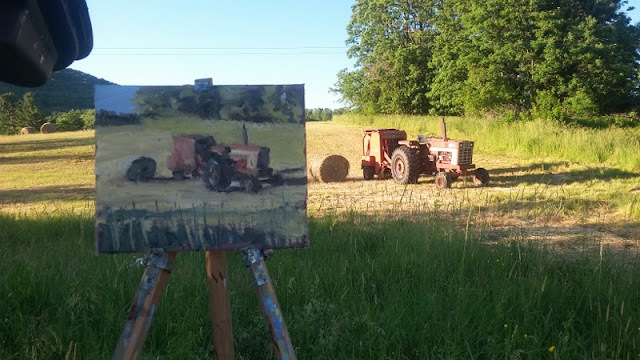 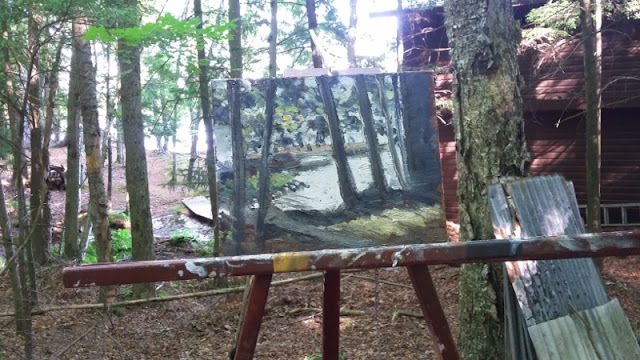 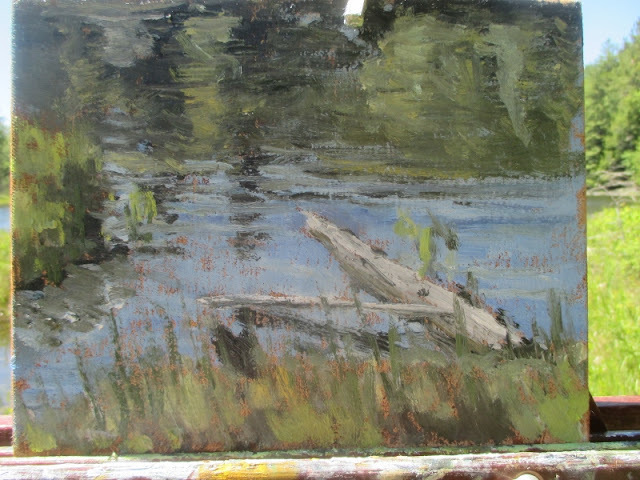 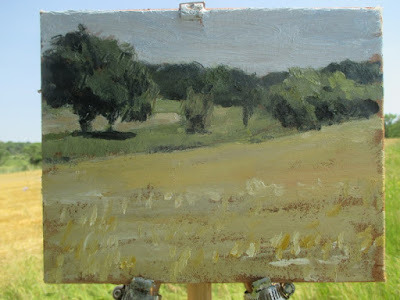 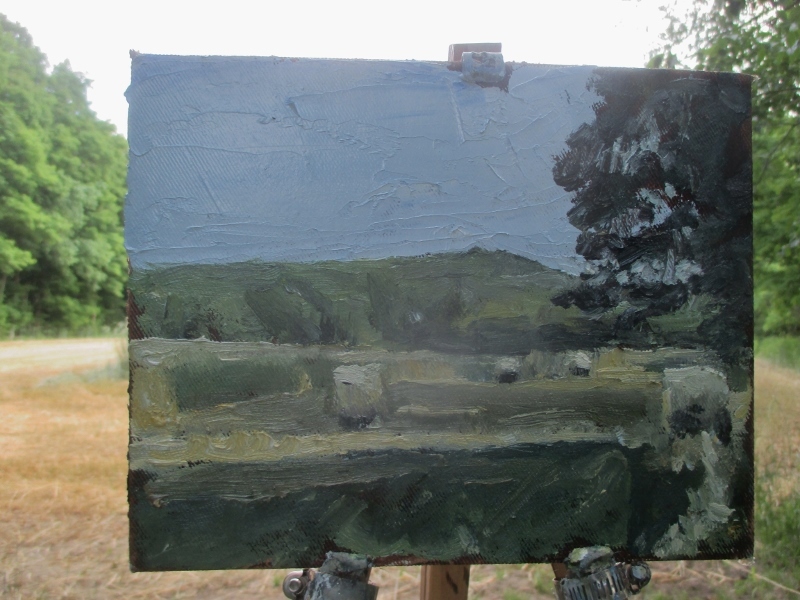 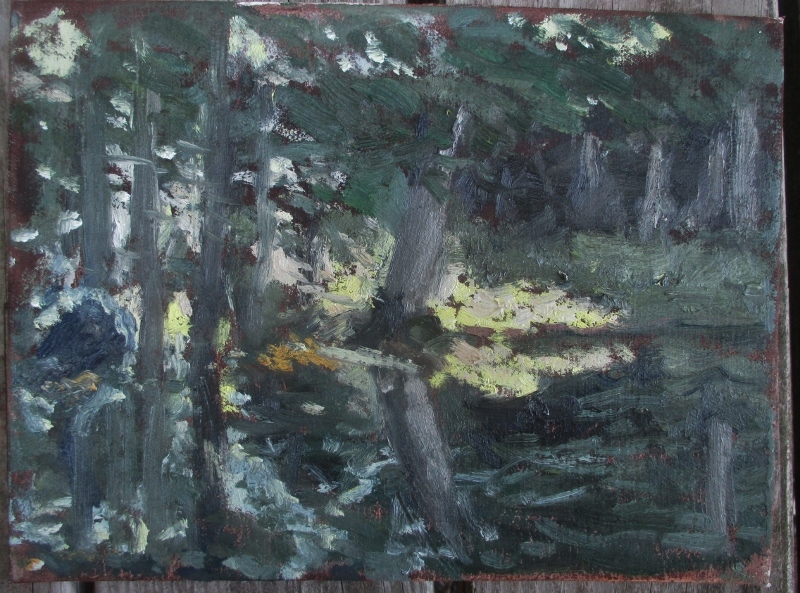 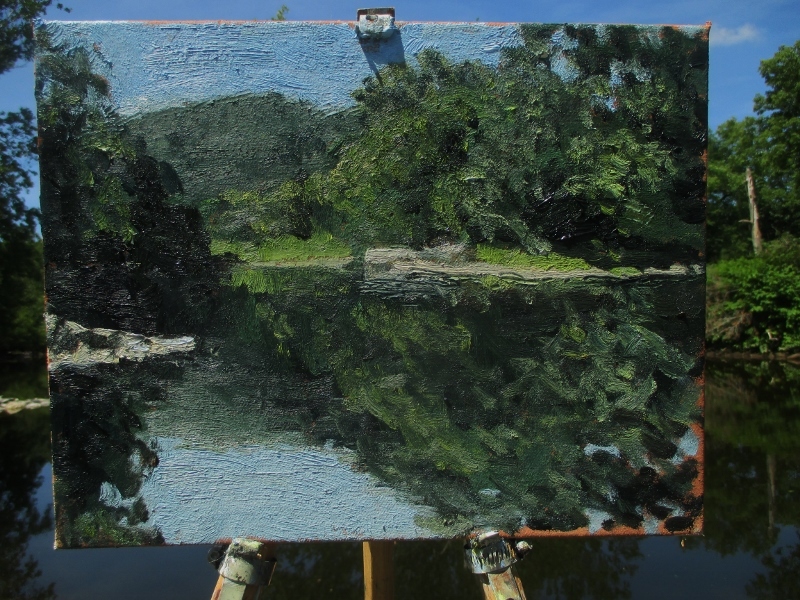 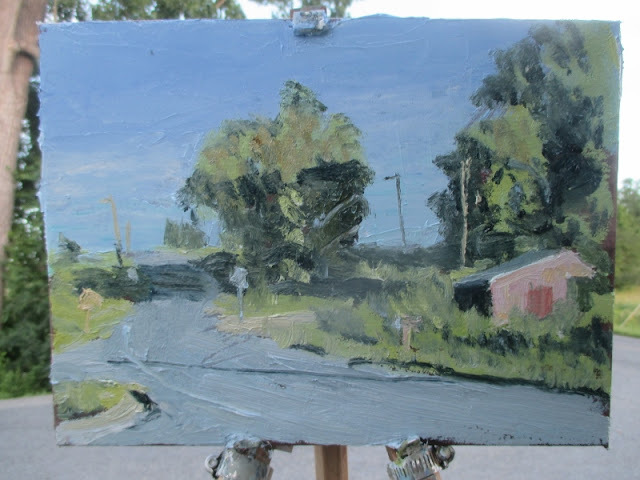 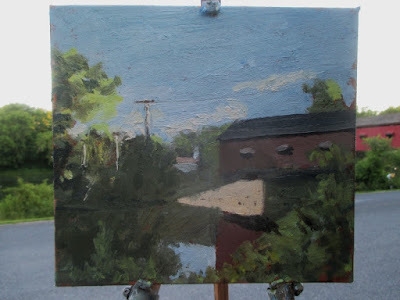 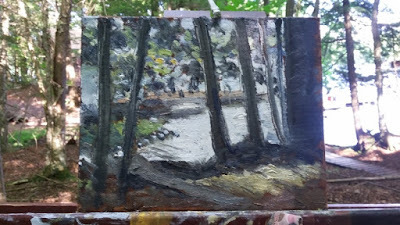 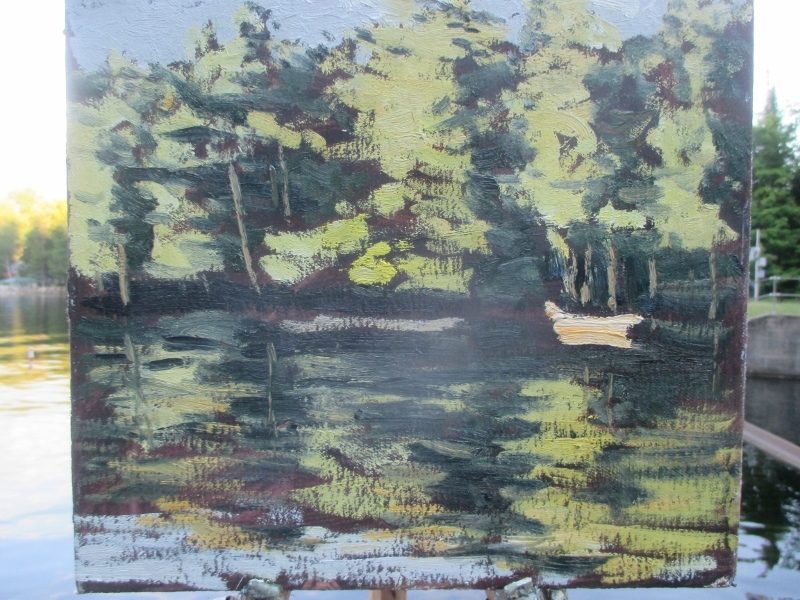 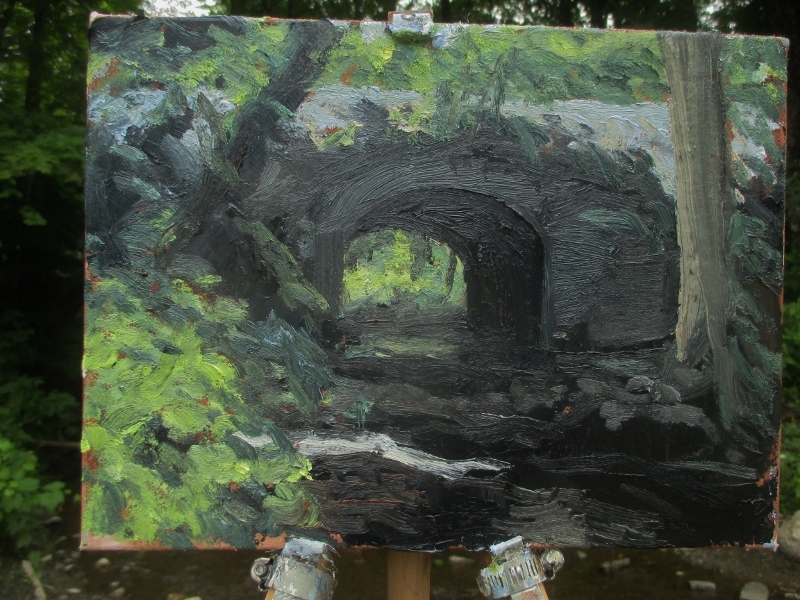 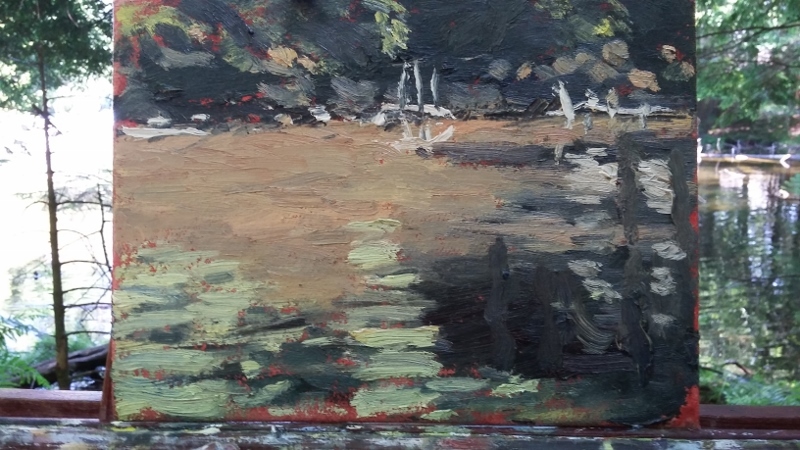 Matt Chinian Painting Blog: Adirondacks and back, 15 paintings over 17 days, mega-blog! 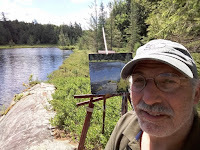 Adirondacks and back, 15 paintings over 17 days, mega-blog! 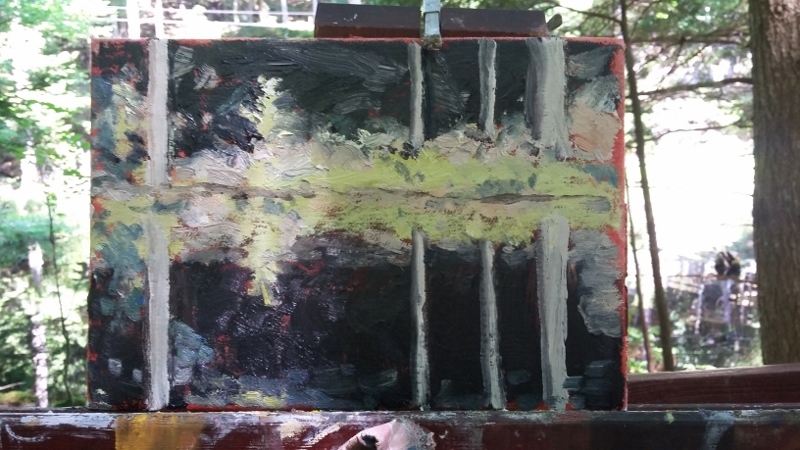 Yesterday I went out in the morning. 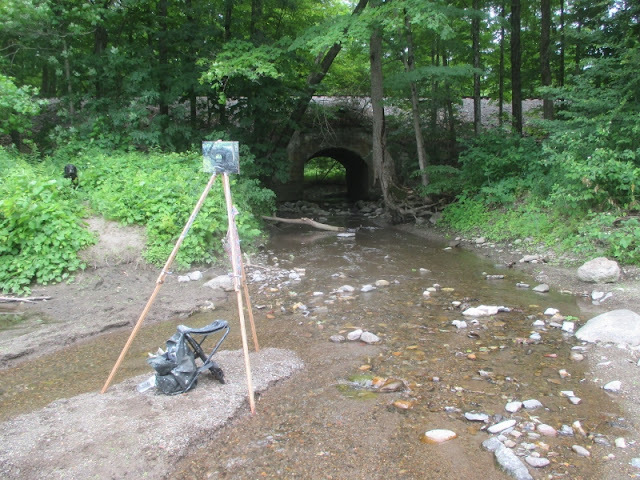 This is the Battenkill by Skellie Rd. 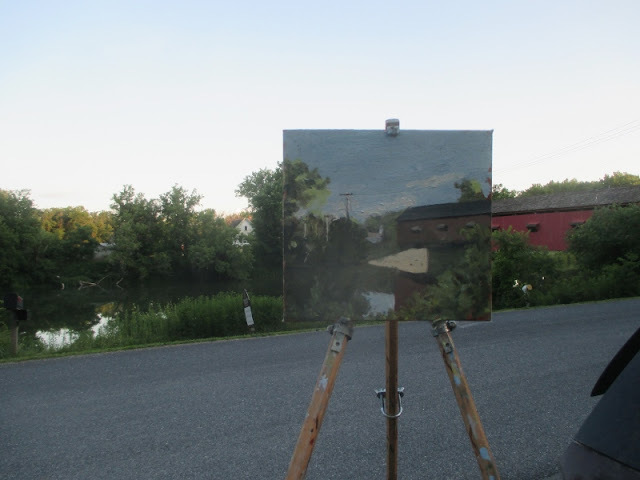 The day before I went to the Buskirk Bridge, over the Hoosic River. 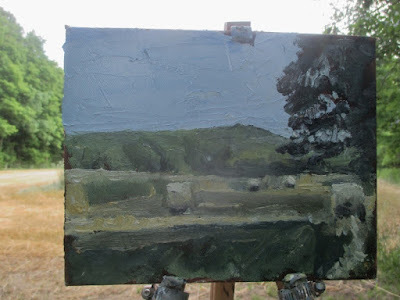 I've painted this scene before, and when I got here there was a brightly lit triangle of light that I knew I had to attempt again, but alas, it was gone in an instant, I lied about it and put it in anyway, I don't do that. 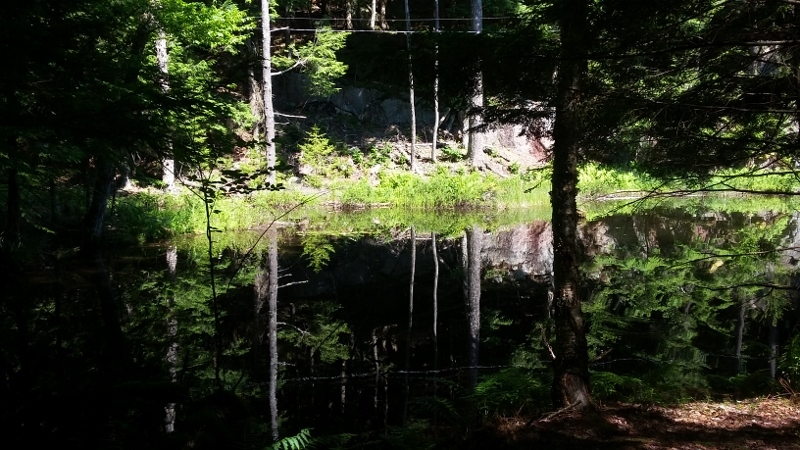 This scene is right behind the Ball Cabin on 6th Lake. Much of what I love about the Adirondacks are the intimate places that light up when the sun hits it. 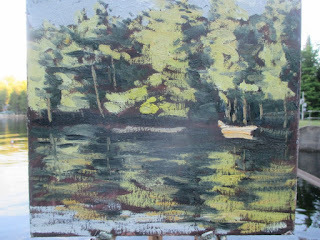 This place is next to the out house, yes we use one here at the cabin, I consider it lovely, really! 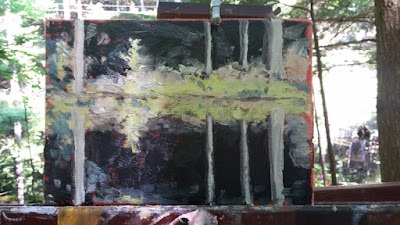 anyway the view of the lake through the trees sets up a dynamic arrangement of darks and lights, horizontal and vertical, and I liked that. This is the beaver pond formally known as Hess Pond, about a 1/2 mile hike out back of the Ball Cabin. 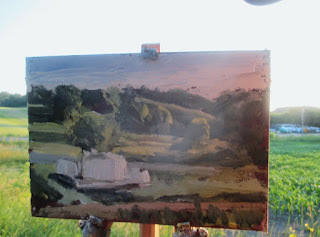 It's one of my favorite spots, while not far you feel like it's really out there. 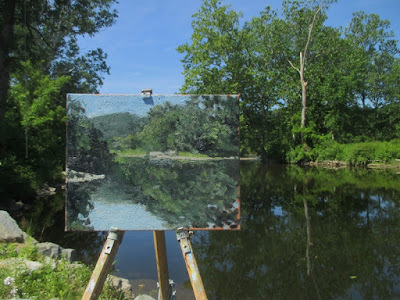 There are places around here that you just have to find, I had been here before, a spot where a tributary runs under the railroad and int the Battenkill, and knew it would be nice and cool and shady, just the place Ollie likes! 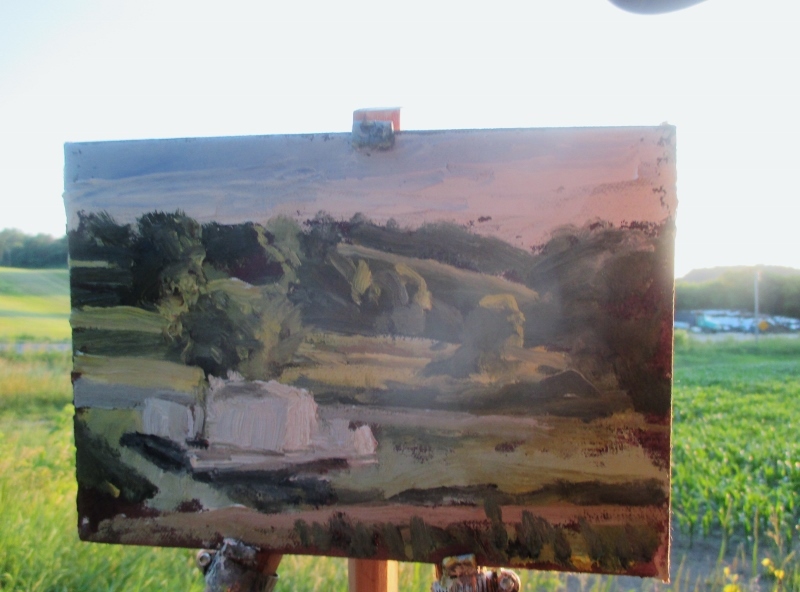 A terrible photo, not a bad painting, better one will come. Sometimes these happen, I was going to scrape it off, but a reminder of what I did on this day might be helpful if I go back to this spot or have a similar challenge to face. 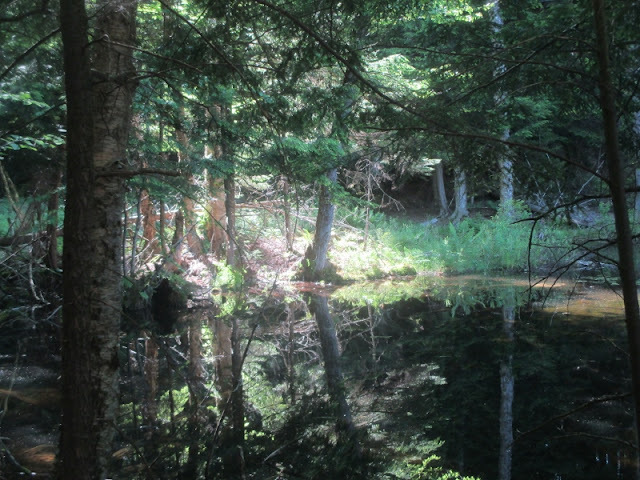 Another fairy place, out in back of the Ball Cabin. 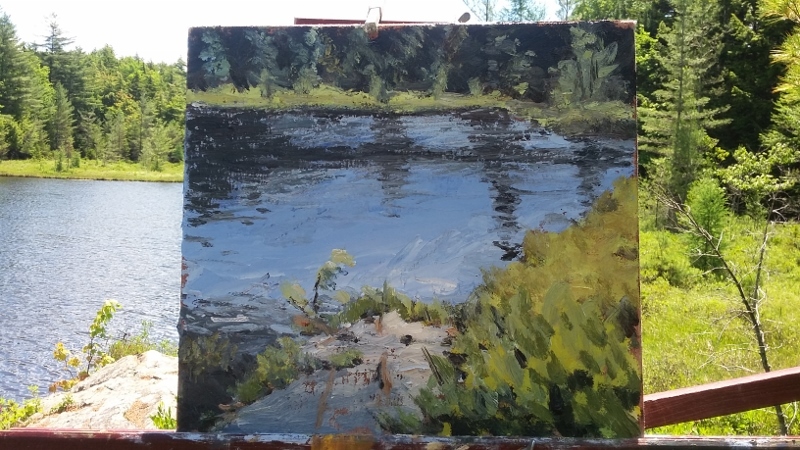 The first Adirondack painting of the season!